Compressor Wheel - 68/94mm inducer/exducer diameter. Turbine Outlet - 68mm diameter. 95lb/min max compressor mass flow. Variable preload angular contact two-row ball bearing cartridge. Twin gas ring seals at the compressor and turbine. 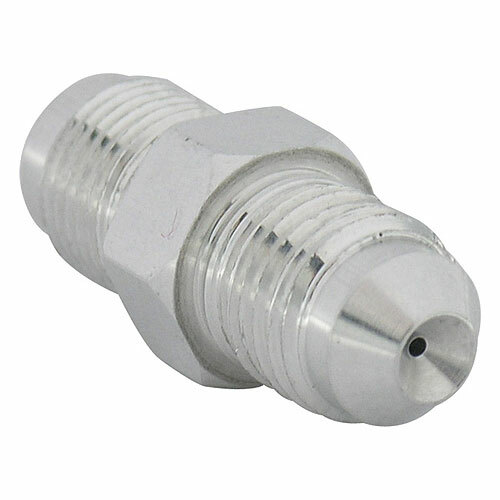 Highs strength, lightweight fully-machined stainless steel center housing. Full hydraulic damping of the rotating assembly. Compressor Cover Inlet 4.0" Ported / Outlet 2.50"
The bearing housing itself is a fully-machined, high-strength stainless steel component with an extended water jacket. By fully surrounding the turbine seal ring land area, this advanced cooling feature combats heat soakback, preventing piston ring collapse for enhanced durability at high temperatures. A turbocharger’s bearing system is its heart, and Xona Rotor has left nothing on the table. Xona XR turbochargers use hybrid (ceramic balls and steel races) ball bearing cartridges unlike those found elsewhere. These high-precision ABEC 7 angular contact ball bearings are made with advanced M62 high-speed powder metal steel races, silicon nitride ceramic balls and metallic ball cages. No melted ball cages here. Together these features deliver significantly elevated robustness and durability at extreme temperatures compared to conventional ball bearing systems. Most performance turbochargers today use a single piston ring for sealing the shaft at each end. By contrast, Xona XR turbochargers employ twin rings at both the compressor and turbine ends. This feature dramatically reduces oil leakage and gas intrusion at both ends of the rotating assembly. Furthermore, since the sealing load is spread across two rings, wear rates are reduced and seal life is extended. Complementing this are large-diameter oil slingers incorporated into both ends of the shaft, further reducing splash oil at the piston ring seal location within the bearing cartridge. The compressor register of the CHRA features an overbuilt compressor backplate and cover interface system that is very tolerant of external loads, limiting structural distortion that can lead to compressor wheel rubbing and premature failure. At the oil inlet, XR turbochargers offer a choice of 7/16" inverted flare or straight M12xA.BC connections. Built into the oil inlet cavity of the CHRA is a large volume “last ditch” oil filter element that prevents oil contaminants from entering the bearing system and plugging oil passages within the turbocharger. At the other end of the Xona XR’s bearing housing, a modular oil drain flange allows for a variety of bolt spacing.